In my previous post I wrote about the Munnings pedigree found in various books about the Winthrop Family and Families of the county of Suffolk. I find a large chunk of the pedigree to be unproven. It is a great story, but possibly just that, a story. Henry Munnings, who died in 1521 was a real person and evidence of him is found in contemporary records. Here is what I have found about his life. The Munnings pedigree tells us much of what is supposedly known about the early Munnings Family. Henry, it says, was the son of John. 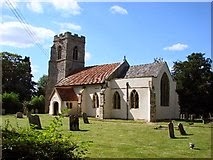 John held a lease on the Manor of Nedging from John de la Pole, Duke of Suffolk. When the treasonous duke was killed, the lands of the de la Pole family were attainted and returned to the crown. The pedigree describes Henry as a farmer in Nedging. In his youth he was of "comely stature and com'endable partes". He was also skillful in song and music. The new Duke of Suffolk, Charles Brandon, taking a liking to him employed him as his superintendent of music in his chapel and employed him on business in France. 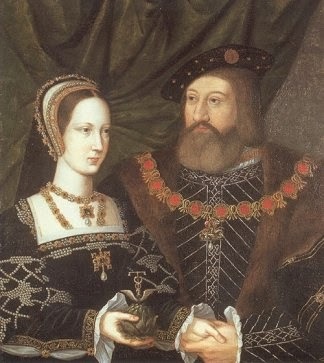 In 1515 Henry traveled with the Duke to France to bring home King Henry's sister Princess Mary, widow of the King of France who Charles marries shortly after her return. Because of his years of faithful service Charles Brandon gave Thomas Munnings, son of Henry, a lease on Nedging Manor for a term of 80 years. In 1415 the manor of Nedging returned to the crown when it's holder, Henry, Lord Scrope was attainted and beheaded. It was then given by the crown to Sir John Phillip and his wife Alice. After Phillip's death, Alice married William de la Pole. Alice held the manor in her own right until her death in 1475, at which time it passed to her son, John, the Duke of Suffolk. Upon his death the manor passed to Edmund de la Pole, who had been reduced in rank to the Earl of Suffolk. The de la Pole family were the legitimate heirs of King Richard III. Edmund was forgiven, sort of, by Henry VII for his father's part in a rebellion against him. Edmund later fled to the continent where he was involved in various schemes to overthrow the Tudors. Meanwhile in 1509 Henry awarded the Manor of Nedging to Edward Nevill. Edmund returned to England and was beheaded as a traitor in 1513. In the inquisition post mortem of Edmund's estate it was found that he was still in possession of the estate of Nedging. His widow, Margaret Countess of Suffolk was awarded the manor until her death. In 1514 Charles Brandon was created the Duke of Suffolk and was given much of the de la Pole lands. He would eventually be awarded the Manor of Nedging, but not until after the 1516 death of Margaret de la Pole. Charles Brandon was a lifelong friend of King Henry VIII. He spent at great deal of his life at court with the King. 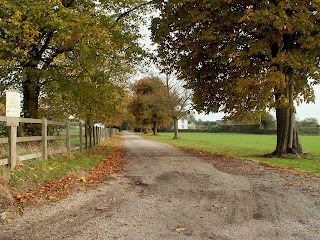 After his marriage to Princess Mary their country home was Westhorpe, north of Bury St. Edmunds. The Duke also had a large home in London, known as Suffolk Place. So, while I was researching this story on Henry Munnings, I came across a story about a man called Henry Manning of Kent. Seems he was a descendant of an ancient and noble family from Manning in Saxony, they took the name de Manning. In their Visitation Pedigree, Henry's grandfather, Hugh, was said to have been married to the Aunt of Charles Brandon, Duke of Suffolk. Does this sort of resonate with you. Am I the only one who thinks this whole story of Henry working for Charles Brandon is hard to believe. Is Henry just the victim of ancestry inflation? I think so. But, Henry was a real man, we know this because he left a will, not much of a legacy, but at least it's something. So what does his will tell us? Henry wrote his will in 1521. He stated that he was of Nedging, Suffolk. He was deeply religious, leaving money to various churches, asking for masses for his soul and leaves money for the repair of the Semer bridge near the church of St. Mary's. This was a common practice, the buying of "indulgences" to get the newly dead a shorter stay in purgatory. Henry's will tells us that he was married to Margaret and that he has two living children, a daughter Agnes and a son Thomas. To his wife he left all his "houses and lands" in Leyham for the duration of her life, on her death they revert to his son Thomas. He also gives his wife his house in Semer called "wodsalis" fee simple, meaning she owns it outright and can do with it what she wants. To his daughter Agnes Rice and her husband Robert Rice he leaves money and his house and lands in Byston. He also leaves money for his grand daughter Elizabeth Rice. All the rest goes to Thomas his son. It would seem from his will that he had a fair amount of land and multiple houses in various parishes and that he was fairly comfortable in his lifestyle. Interestingly, he does not name any grandchildren other than Elizabeth Rice, is it because his son Thomas is not yet married or does not yet have any children? According to the Munning pedigree, Henry married Alice Pye of Lavenham, Suffolk. By the time he wrote his will he was married to Margaret Unknown. Agnes is presumed to be the mother of Henry's two surviving children. No date of birth or death is known for either women. Alice Pye's ancestry is unknown as is Margaret's. Not much. The list of what we don't know is long. We do not know when or where he was born. We don't know when or where he was married. We don't know how many children he had, only that two are named in his will. We don't know how old he was when he died. We know he wrote his will on 16 October of 1521 and that it was probated on 21 November 1521. He states in his will that he is of Nedging, so presumably we can say that his made his home there. Henry did not identify his social rank, but if he were a gentleman or higher rank he probably would have. I have seen in multiple ancestry.com tree Henry styled as Sir Henry. He would hold this title only if he were knighted. This does not seem to be the case. It is interesting to see the birth years that are assigned to Henry, 1455 and 1456 seem to be the most popular.